An all-ages colouring-in book based on Australian Indigenous artworks from the Balarinji Art & Design Archive. 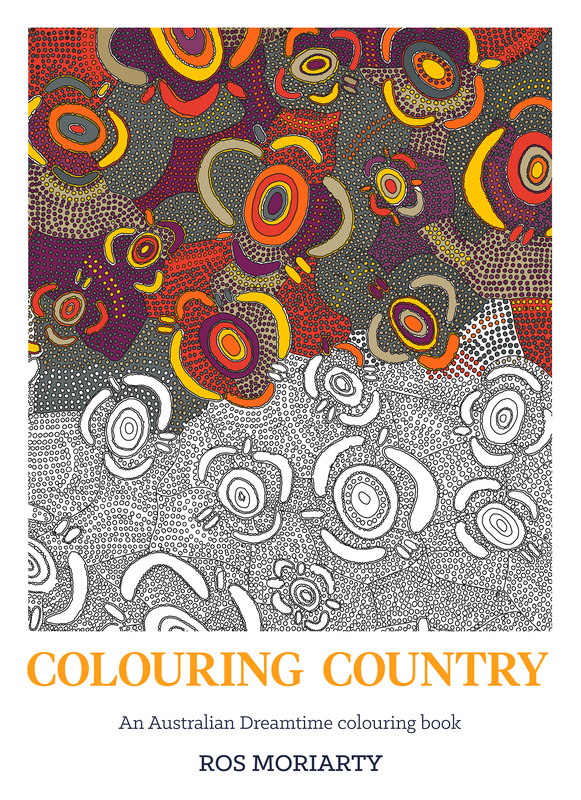 Colouring Country is an art therapy book with a difference. It features 42 full-colour reproductions of superb Indigenous Australian artworks, each with a colouring template and a description of its story and cultural context from the Dreamtime. The rhythm and motifs of Aboriginal artworks illustrate life in balance with the majesty of nature. They represent the joyful visual language of the world's oldest continuing culture. 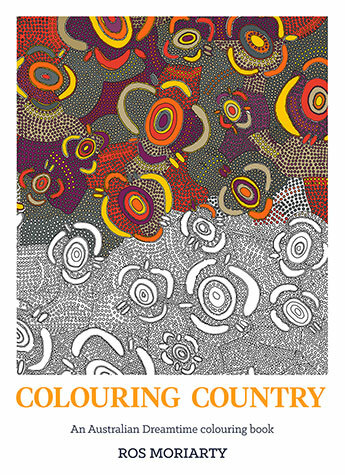 The works in Colouring Country are from the Balarinji Art & Design Archive, an iconic collection of art, design and objects created by Sydney-based design studio, Balarinji. Ros Moriarty and John Moriarty established Balarinji in 1983; since then it has become recognised worldwide for covering Qantas aircraft in Aboriginal designs. The Archive is held by the National Museum of Australia, Canberra. Ros Moriarty was born in Devonport, Tasmania and moved to Canberra when she was 17 to study University. A former journalist, Ros has spent most of her professional life design business she established with her Aboriginal husband, John, in 1983. She is also co-founder and Managing Director of the not-for-profit Nangala Project. In 2012 Ros founded the Indi Kindi early literacy programme for babies to five-year-olds, to help remote-region Aboriginal families change life opportunities for their children. Ros was inducted into the Design Institute of Australia Hall of Fame in 2014 and named Australian 100 Women of Influence Awards 2015. She is also the author of several award-winning books, including her memoir, Listening to Country, and four children's books.